[S9] Ancestry.com, 1860 United States Federal Census (n.p. : Online publication - Provo, UT, USA: Ancestry.com Operations, Inc., 2009. Images reproduced by FamilySearch.Original data - 1860 U.S. census, population schedule. NARA microfilm publication M653, 1,438 rolls. Washington, D.C.: National Archives and Records, unknown publish date), Year: 1860; Census Place: Saratoga Springs, Saratoga, New York; Roll: ; Page: 374; Image: 371. Mary Sullivan was born circa 1807 at Ireland.1 She was born circa 1830 at Ireland. She married Edward Noonan. 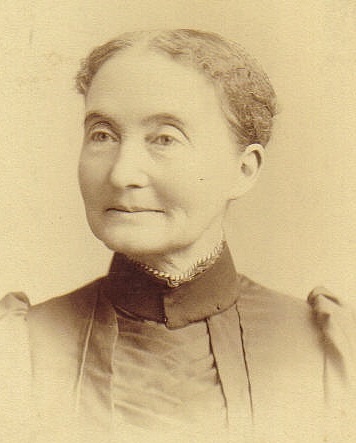 Mary Sullivan lived in 1850 at Mentz, Cayuga, New York, USA. Edward Noonan married Mary Sullivan. [S9] Ancestry.com, 1860 United States Federal Census (n.p. : Online publication - Provo, UT, USA: Ancestry.com Operations, Inc., 2009. Images reproduced by FamilySearch.Original data - 1860 U.S. census, population schedule. NARA microfilm publication M653, 1,438 rolls. Washington, D.C.: National Archives and Records, unknown publish date), Year: 1860; Census Place: Montezuma, Cayuga, New York; Roll: M653_729; Page: 727; Image: 250; Family History Library Film: 803729. [S6] Ancestry.com, 1850 United States Federal Census (n.p. : Online publication - Provo, UT, USA: Ancestry.com Operations, Inc., 2009. Images reproduced by FamilySearch.Original data - Seventh Census of the United States, 1850; (National Archives Microfilm Publication M432, 1009 rolls); Records of the Bureau of the, unknown publish date), Year: 1850; Census Place: Mentz, Cayuga, New York; Roll: M432_481; Page: 142B; Image: 289. [S2] 1880 United States Federal Census, online , Year: 1880; Census Place: Volney, Oswego, New York; Roll: 915; Family History Film: 1254915; Page: 261B; Enumeration District: 274; Image: 0525. James D Nye was born on 5 December 1830 at Mentz, Cayuga, New York, USA.1,2,4,5,6,7,8 He married Nancy Cornelia Townsend, daughter of Samuel Townsend and Betsey Taylor, in 1855 at Aurelius, Cayuga, New York, USA.7 James D Nye lived in 1870 at Montezuma, Cayuga, New York, USA.4 He lived in 1880 at Montezuma, Cayuga, New York, USA.1 He lived in 1892 at Montezuma, Cayuga, New York, USA; Age: 62.5 He lived in 1900 at Montezuma, Cayuga, New York, USA.3 He lived in 1910 at Montezuma, Cayuga, New York, USA.2 He died on 27 September 1919 at Montezuma, Cayuga, New York, USA, at age 88. [S11] 1910 United States Federal Census, online , Year: 1910; Census Place: Three Rivers Ward 2, Saint Joseph, Michigan; Roll: ; Page: ; Enumeration District: ; Image: . [S65] 1920 United States Federal Census, online , Year: 1920; Census Place: Jefferson, Elkhart, Indiana; Roll: T625_431; Page: 7B; Enumeration District: 27; Image: . [S26] 1900 United States Federal Census, online , Year: 1900; Census Place: Mentz, Cayuga, New York; Roll: T623_1013; Page: 2A; Enumeration District: 33. [S26] 1900 United States Federal Census, online , Year: 1900; Census Place: Elkhart, Elkhart, Indiana; Roll: T623_369; Page: 3A; Enumeration District: 20. [S61] 1930 United States Federal Census, online , Year: 1930; Census Place: Three Rivers, St Joseph, Michigan; Roll: ; Page: ; Enumeration District: ; Image: . [S65] 1920 United States Federal Census, online , Year: 1920; Census Place: Three Rivers Ward 1, St Joseph, Michigan; Roll: T625_796; Page: 7B; Enumeration District: 167; Image: . [S75] Ancestry.com, World War I Draft Registration Cards, 1917-1918 (n.p. : Online publication - Provo, UT, USA: Ancestry.com Operations Inc, 2005.Original data - United States, Selective Service System. World War I Selective Service System Draft Registration Cards, 1917-1918. Washington, D.C.: National Archives and Records Admini, unknown publish date), Registration Location: St Joseph County, Michigan; Roll: 1682814; Draft Board: 0. [S75] Ancestry.com, World War I Draft Registration Cards, 1917-1918 (n.p. : Online publication - Provo, UT, USA: Ancestry.com Operations Inc, 2005.Original data - United States, Selective Service System. World War I Selective Service System Draft Registration Cards, 1917-1918. Washington, D.C.: National Archives and Records Admini, unknown publish date), Registration Location: Elkhart County, Indiana; Roll: 1493153; Draft Board: 1. [S297] Ancestry.com, U.S. World War II Draft Registration Cards, 1942 (n.p. : Online publication - Provo, UT, USA: Ancestry.com Operations, Inc., 2010.Original data - United States, Selective Service System. Selective Service Registration Cards, World War II: Fourth Registration. National Archives and Records Administration Branch l, unknown publish date), Roll: ; Local board: Elkhart , Indiana.